Some of your favorite iOS apps are going red. About 20 titles -- including FarmVille: Tropic Escape, Angry Birds 2, Candy Crush, Clash of Clans and FIFA Mobile -- are adding new levels, characters and features (like special gems and superhero masks) as a part of a massive effort to fight AIDS. 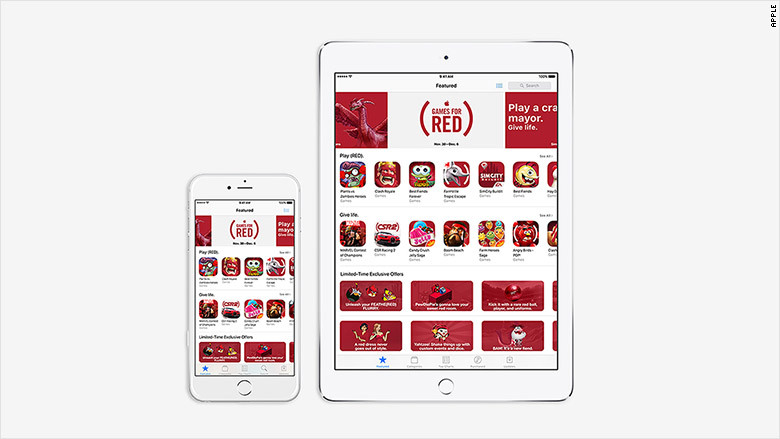 The apps will also be overlaid with the color red in the Apple App Store. Until December 6, these apps will offer new content via in-app purchases. The proceeds will go to RED organization, cofounded by U2 frontman Bono. 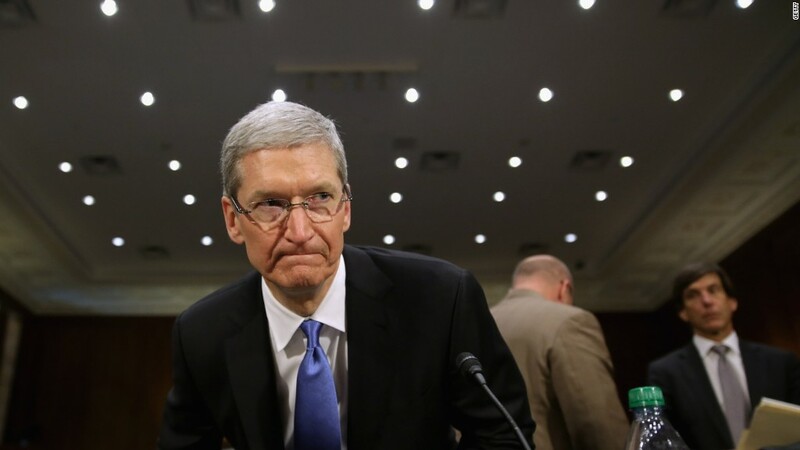 The news coincides with World AIDS Day and marks the 10-year anniversary of the partnership between RED and Apple (AAPL). The goal of RED is to raise money for medicine that prevents mother-to-child transmission of HIV. The organization hopes to end the disease by 2030. Considering AIDS treatment costs $0.30 a day, a $4.95 gem bundle purchase in a mobile game could provide someone with 15 days of medicine. About 18.2 million people are currently taking the lifesaving pills -- many in poor countries who can't otherwise afford it. As a part of the Apps for RED effort, Zynga's FarmVille: Tropic Escape will offer three new bundles, ranging from $5 for tropical-themed decorations to $40 to add a lifeguard with healing powers. This is the first time FarmVille players can purchase a character within the app. Meanwhile, FIFA Mobile fans can buy a RED-themed pack to get better players and use a special ball. Finnish-based Rovio is turning its iconic Green Pigs red in Angry Birds POP! and Angry Birds 2. It's also offering packs to dress up birds and unlock more features. Apple is highlighting World AIDS Day in its own stores by adding window decals and turning its logos red at more than 400 locations worldwide. It's also rolling out an assortment of new RED-inspired products like phone and battery cases, as well as Beats wireless headphones. The company will donate $1 to RED for every purchase made with Apple Pay, up to $1 million, for the next week. Pop rock group The Killers is participating in the effort, too. All iTunes sales from its new track "I'll Be Home for Christmas" will go toward RED and funding AIDS treatment.